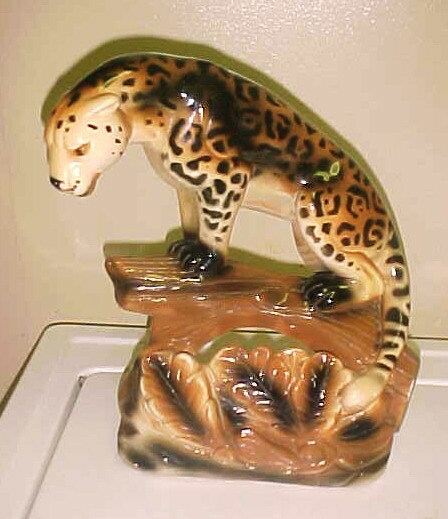 While my interest is focused on ceramic TV lamps, one can't ignore those made of plaster, or "chalkware". 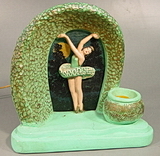 The Puccini Art Novelty Co. is one of the few identifiable manufacturers of chalkware lamps, as most lack any markings or were low-production/regional makers. 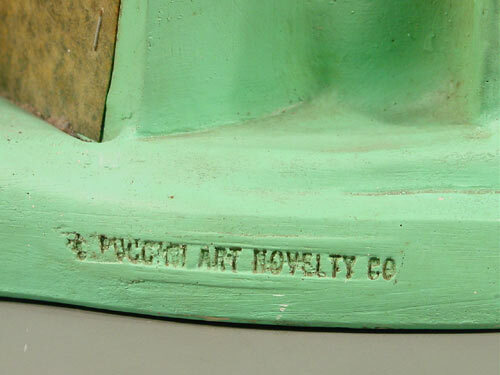 Some Puccini lamps have a second Columbia Statuary marking, the significance of which is unclear. I suspect that Puccini had previously been a designer at Columbia, and ultimately formed his own company. 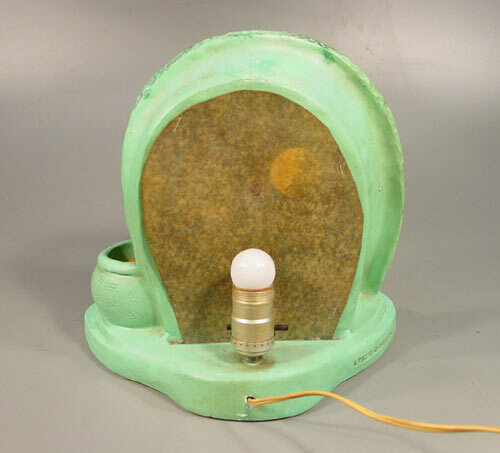 Often worse for wear, this Puccini TV lamp is in fine condition for a chalkware item. Photos courtesy of Eddie Carire, Brooklyn NY. 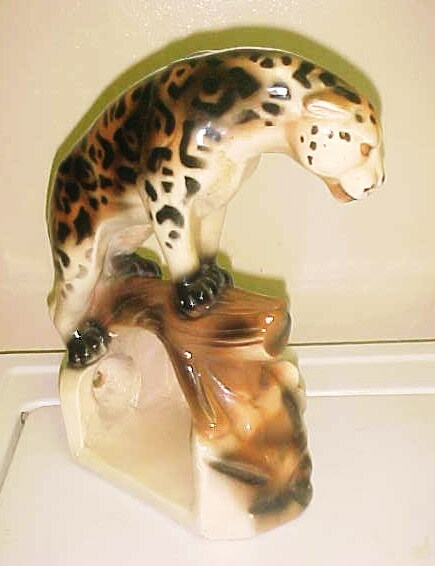 Back view of the Puccini leopard. 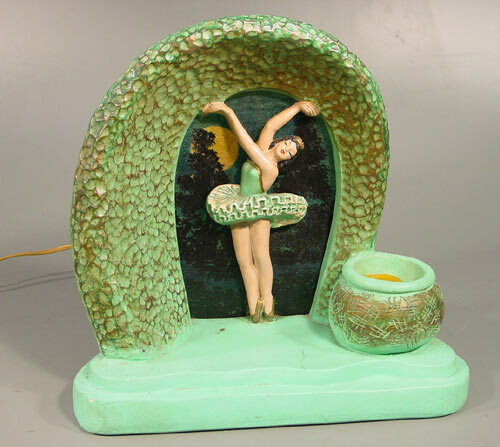 This Puccini ballerina TV lamp is one of their best. Photos courtesy of Bid Brothers, Portland, Oregon. 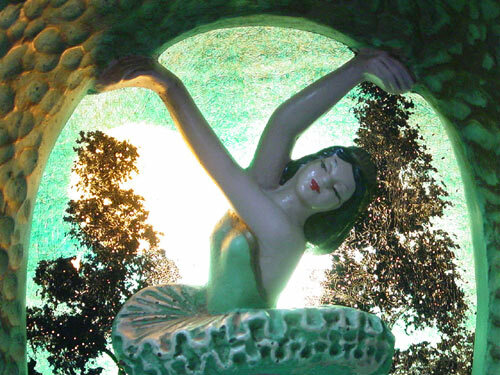 A look at the back of the ballerina lamp reveals the fiberglass shade used to diffuse the light. 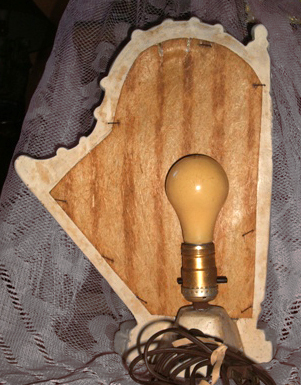 A close-up shows the detail applied to this Puccini lamp. Painted detail was added not only to the plaster portion, but also to the fiberglass background. Puccini typically stamped their name into their products. 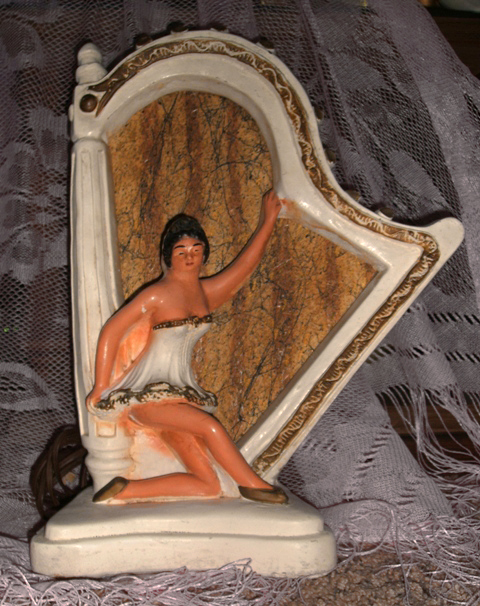 The Puccini Art Novelty Co. did another variation on the ballerina theme, this one posed with a harp. Photos courtesy of Char Korcz.